As part of the Affordable Care Act, the Hospital Readmissions Reduction Program (HRRP) was introduced to help lower the number of hospital readmissions for conditions like heart attack, pneumonia and heart failure. Studies have shown that the HRRP has been somewhat successful, resulting in a decrease in readmissions over the past several years. For hospitals looking for ways to reduce readmission rates, it’s helpful to learn more about factors that may increase the risk of readmission for patients. Specific health conditions, demographics, lack of education and low patient engagement can all increase the risk of readmission for patients. However, one factor that hospitals may not consider when working to lower readmissions is the patient’s health insurance coverage. A look at different types of insurance shows that a patient’s health insurance coverage appears to correlate with hospital readmissions. Medicare patients represent 55 percent of all readmissions, whereas Medicaid patients account for 20.6 percent. Part of this may be explained by the fact that Medicare generally covers older patients, who are at higher risk for chronic health conditions. Patients with private health insurance only accounted for 18.6 percent of readmissions, while self-pay or uninsured patients only made up 4.9 percent of readmissions. These numbers have been backed up by researchers from Beth Israel Deaconess Medical Center in Boston, who found that patients on Medicaid and Medicare had a far higher risk of readmission. Studies done by researchers from the University of Baltimore and the University of Texas at Dallas have found that in patients whose insurance policies changed from private insurance to Medicare, the odds of hospital readmissions went up by 79 percent when compared to those who stayed with private insurance. The same study also looked at patients switching from self-pay or uninsured to Medicare, finding that there was a 97 percent increase in the odds of hospital readmissions when compared to patients who stayed uninsured. With recent healthcare reforms that have come with the Affordable Care Act, many patients have switched from private insurance or self-pay to Medicaid, which no doubt has an impact on the hospital readmission rates around the country. Medicaid expansion, which was a part of the Affordable Care Act, decreases the uninsured population significantly. But in underserved populations, patients who are not changing to Medicaid are beginning to use their healthcare resources immediately, increasing readmissions. Why is Health Insurance a Factor? So why is health insurance type a factor in readmissions? Various studies have been done on healthcare reform and how it affects readmissions, and one study looked at Massachusetts health reform, specifically. After healthcare reform in the state of Massachusetts, readmission rates unexpectedly increased within the state, and many experts believe this has happened on a larger scale across the United States after the implementation of the Affordable Care Act. With healthcare reform, patients with private insurance or no insurance at all have been able to access medical care, and in many cases, these patients were unable to afford the care they needed in the past. Individuals with private care may not have had conditions checked out or kept up with routine care for chronic illnesses because of high co-pays or lack of awareness around available preventive services. Uninsured, self-pay patients may have avoided care because of the high cost of care for patients that have no insurance. Once these individuals changed to Medicare, patients were able to access care, and many admissions and readmissions may occur because patients are finally having medical concerns addresses that were not treated in the past. Of course, health insurance is only one factor that may be driving hospital readmissions. 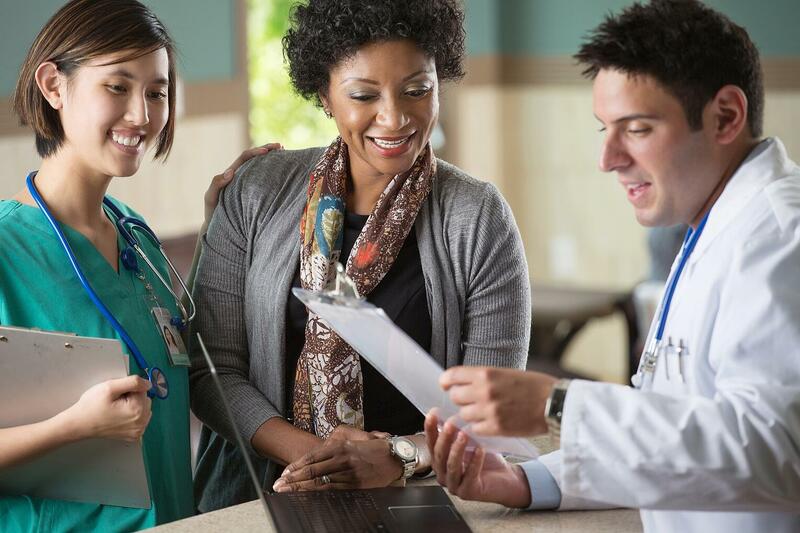 A closer look at all the factors that can affect readmission rates, it becomes clear that hospitals need to improve patient engagement, using strategies that reduce readmissions and improve patient outcomes. Implementing discharge management software that uses psychographic segmentation to personalize patient engagement can reach patients with relevant messages. Psychographics pertain to patients’ attitudes, personalities and lifestyles, cutting across insurance type to unlock patients’ intrinsic motivations. Using an automated, digital communications platform, such as PatientBond, which personalizes messaging according to patients’ psychographic profiles, allows hospitals to better understand their patients, what motivates them, and how best to communicate with them through precision engagement outside the walls of the hospital to prevent readmissions in the future.